April 12 (UPI) — Thousands of scientists signed their name to a letter voicing support for the students protesters calling for action on climate change. The letter, which scientists titled “Concerns of young protesters are justified,” was published Friday in the journal Science. The letter was signed by 3,000 scientists. Thousands of students across the globe walked out of their classrooms Friday, the latest strike aimed at spurring action on climate change. “It’s been a really fantastic day, with thousands and thousands of students protesting across the country, and continuing to build the movement,” Jake Woodier, from the UK Youth Climate Coalition, told the Guardian. Protesters marched through London’s Oxford Circus shopping area, blocking traffic as they gathered, chanted and brandished signs, some which hailed the “New Green Deal,” popularized by U.S. Rep. Alexandria Ocasio-Cortez, D-New York, the youngest women ever elected to Congress. British politicians have introduced legislation for their own New Green Deal, as well. Student protesters also voiced their disapproval of the status quo last month. 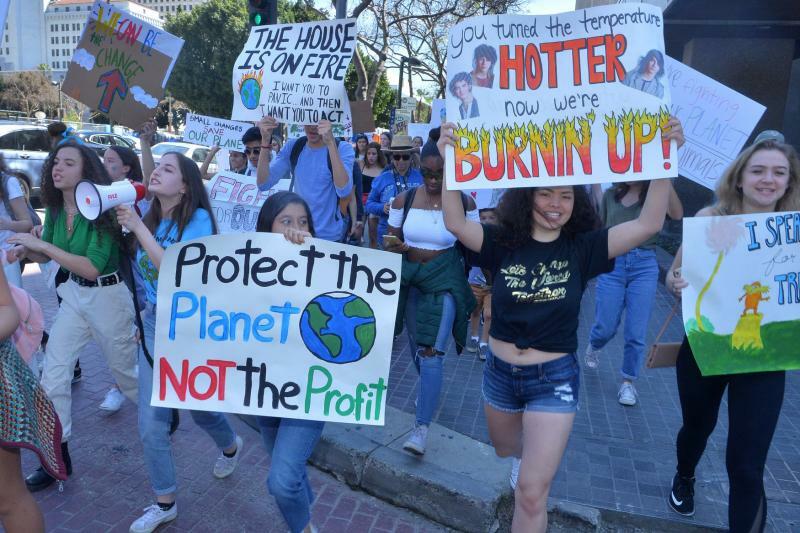 On March 15, young people in some 1,700 cities in more than 100 countries walked out of school classrooms and demanded politicians do more to stop climate change. That strike also was supported by scientists. “The idea of a climate strike is innovative. It’s provocative, and I think it’s the right form of non-violent civil disobedience,” Gail Whiteman, a social scientist at Lancaster University in Britain, told Nature. Both scientists and students want politicians to support policies that end the use of oil and gas, while investing in green energy sources.